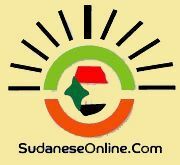 Since the over throw of the democratically-elected government of Sudan in 1989, good news from Sudan has been in short supply. Within days of assuming power, the still ruling Islamists seized control of all key institutions of the state. Shortly afterwards they banned freedom of speech ,confiscated all privately-owned businesses of any person not loyal to them ,sold all publicly-owned corporations and laid off millions of public servants and replaced them with under qualified new-comers who –falsely- pledged to turn Sudan into an Islamic super-power ,but , they instead ended up with a fractious country that is seeing inextinguishable civil wars ,social conflicts ,state-sponsored lawlessness and economic collapse . Today the previously bellicose Islamists who were once threatening to conquer the whole world and defeat Russia and America put together …Are now obsessed with one, single nightmarish scenario – their own safety؟... Ironically enough this is –in simple words -deal-impossible and not on the table, as far the millions of innocent victims of the regime are concerned. To say the least of the outside world, particularly the neighborhood, if we remembered the failed assassination attempt of the ex-Egyptian president Mubarak and the countless unsuccessful regime change attempts designed and inspired by the regime in Chad, Eritrea and south Sudan etc. in addition to the ICC indictment of the head of state, dictator omer beshir... who stands accused of committing horrendous crimes against humanity, war crimes and genocide against his own helpless poor people allover the country, particularly in Darfur south kordofan, blue Nile state and eastern Sudan where a huge proportion of the BEJA rural communities perished of acute hunger (which is in line with the conscious state-policies directed against non-Arabs in Sudan ؟) the fatigued, bankrupt and badly isolated regime is now offering its services to the international community in search of re-admission and to ease the pressure put on it , A bait the hypocrite EU knowingly swallowed by forging secret deals with the outlaw regime (as was disclosed recently by the German weekly ..Der Spiegel) which we need to highlight and shine cluster light on, because if the EU approves of dealing with an outlaw regime which is directly involved in the unrest and instability in neighboring Libya by supporting the mainly islamist militias of the national salvation government, hosting terrorist sleeper-cells..Then we have got to call things by their proper names by re-identifying friends and foes؟؟ Because for the good of our country, Africa and the region at large this anti-human regime should be removed not improved as now brokered by the EU. The regime which turned all aspects of economic activities into party-owned enterprises run by anonymous individuals who enjoy tax-exempts and pay no fees at all should GO. It is no exaggeration stating that all businesses up and functioning in today’s Sudan are owned by members of the inner-circle of the regime or their nominees (mostly relatives)who act as buffers and engage in all activities legal andillegal including money-laundering ,human-trafficking and hosting terrorist groups from all corners of the universe. Therefore either the EU turns its repeated tough words, meant for political consumption, into actions, or we will start our long march away from it …..After holding it responsible for prolonging the suffering of our people for more than 26 years by breathing life into a dying regime in its death rattle.